On the 17th of July 2014, the world was shocked by the devastating report that flight MH17, an international passenger flight from Amsterdam Schiphol Airport on its way to Kuala Lumpur, crashed as it flew over Eastern Ukraine. 298 passengers died. This tragic news led to an unbearable loss for relatives all over the world, a disaster that is anchored in our collective memory. 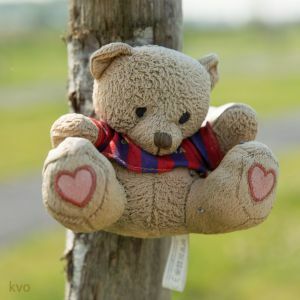 Alarmed by the original creator of the living memorial forest for MH17, Arold Jansen, the Nationaal Bossenfonds (National Forest Fund) has developed a proposal for the planting of a memorial forest to commemorate all the victims of flight MH17. The design of the forest monument has been inspired by the form of the black memorial ribbon, which was used as a symbol in the aftermath of the crash, and is also used by Stichting Vliegramp MH17. The layout of the forest has got the form of a green ribbon, 298 trees are planted in this form, each tree representing a person on board of flight MH17. View the artist's impressions. The ribbon is surrounded by a ring of sunflowers, which blossom during the month of July, which radiates a golden glow. The sunflowers also refer to the sunflower fields in eastern Ukraine where some parts of the plane wreckage were found. The opening of the National Monument MH17 was on July 17th 2017. The ceremony can be watched on NPO - Monument MH17. From the18th of July the monument is publicly accessible. The monument is situated in Park Vijfhuizen near Amsterdam Schiphol Airport. The location is easily accessible for both national and international visitors. 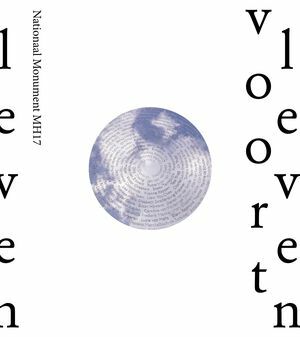 The monumental design is selected by Stichting Vliegramp MH17, the united foundation for the relatives of the MH17 victims. A tree symbolizes ‘hope’ and ‘future’ in many cultures, a strong symbol. We not only want to honor the MH17 victims, but also want to create a place where everyone can keep their memories of the 298 passengers alive. Every victims life will live on metaphorically through these memorial trees. On the 18th and 25th of March 2017 relatives planted the trees for their loved ones at the National Monument MH17. The first tree for the captain of Flight MH17 was planted by the Ambassador of Malaysia, Mr. H.E. Dato 'Ahmad Nazri Yusof, together with the Director of Malaysian Airlines, Mr Tan Sri Mohamad Nor Yusof, and Foreign Minister, Mr. Bert Koenders. The staff of Boomkwekerij Ebben planted the trees that were not planted by relatives. Photos of these days can be viewed on our realisation page. The overview of the trees and the names of the victims that this tree is associated with can be viewed on location trees. Address: Vijfhuizerweg (behind number 805), 2141 CP Vijfhuizen. By car: parkingspace is available across from Park Vijfhuizen (parking is free). Follow the signs Expo Haarlemmermeer. At the roundabout on the left is the parking lot. You can set your navigation to Stelling 1, 2141 SB Vijfhuizen. From the parking lot you walk back to Vijfhuizerweg and cross over to the monument. There are four parking spots available for the less-abled, these are situated near the monument at Vijfhuizerweg (next to number 805). ​With public transportation: from Schiphol Airport / Schiphol trainstation, take bus 300 towards Haarlem, which runs every five minutes. Ask the driver to stop at busstop Expo Haarlemmermeer. Walk 30 meters back and cross over to the monument, six minute walk. Travel time is approximately 25 minutes from Schiphol trainstation, 15 minutes from Haarlem station. We will be happy to help you, if desired, in finding accommodation options. A number of local residents offer a guest room, but there are also possibilities in a nearby hotel or accommodation via Air B & B. In of May 2018 the book ‘Living On’ was published. In this beautifully illustrated book a picture is sketched of the realization of the National Monument MH17. This monument, in the form of the symbolic ribbon, with a memorial, was put into operation on the 17th of July 2017 and is located in Vijfhuizen, bordering Schiphol Airport. The personal stories of relatives and those involved and their commitment to the realization of the monument are included with many photographs. Not only of the monument, but also of the disaster and the aftermath that followed. A special book with a hopeful message: live on. From the victims, the relatives and all those who were hit on the 17th of July 2014 and afterwards. Every donation, however small, is still more than welcome. It is a sign of genuine solidarity with the victims. Support that remains important for the relatives and the remembrance of these beautiful people. It ensures that there is a place where people experience that still something beautiful can grow out of grief.